You have to search pretty hard to find a flaw in the New England Patriots’ 38-3 win over the New York Jets in their season finale. The Patriots’ passing attack got back on track, they ran the ball decently well, halted the Jets’ running backs and limited rookie quarterback Sam Darnold to under 200 yards. The Jets weren’t exactly the most challenging Week 17 opponent, but the Patriots did enough to boost confidence heading into the postseason. Most importantly, the Patriots’ best players — namely quarterback Tom Brady, defensive end Trey Flowers and cornerback Stephon Gilmore — performed very well. Check out this week’s takeaways and metrics. All stats via Pro Football Focus. — Darnold was smart to go after the Patriots’ rookie cornerbacks. Crossen only played 39 total defensive snaps on the season, so he was an easy target while on the field for 13 plays. Jackson didn’t allow a touchdown all year and this was the most yards he let up in a game his entire rookie season. He outmuscled Jets wide receiver Robby Anderson for his pass breakup late in the game. — Gilmore shadowed and ultimately shut down Jets No. 1 wideout Robby Anderson. — It was a good day for Patriots safeties. Chung and McCourty finished the year strong after some early-season hiccups. — Flowers is set to become a free agent after the season. He led the Patriots with 7.5 sacks this year, which is a new career high for the four-year veteran. He also forced a fumble in the run game. He was dominant across the board Sunday. The Patriots have nothing close to a replacement for Flowers on their current 53-man roster. He’s as close to a must-sign as the Patriots have had hit free agency in the Bill Belichick era. — Rivers registered the first sack of his career. He was surprisingly active after a long stretch of healthy scratches. — Defensive ends Deatrich Wise Jr. and Ufomba Kamalu, linebacker Dont’a Hightower, defensive tackles Malcom Brown and Danny Shelton and cornerback Jonathan Jones failed to generate pressures despite pass-rush snaps. — The Patriots limited Jets running backs to 3.5 yards per carry, though they did let up a 28-yard scramble to Darnold. — Jets starting running back Elijah McGuire carried the ball 18 times for 41 yards with his longest run going for 17 yards. — Roberts had perhaps his best game in a season in which he’s shown growth as the team’s No. 3 linebacker. Trey Flowers has positioned himself to make a lot of money this offseason. The Patriots pass rusher put the finishing touches on what was a career year, just months before he steps into free agency for the first time. 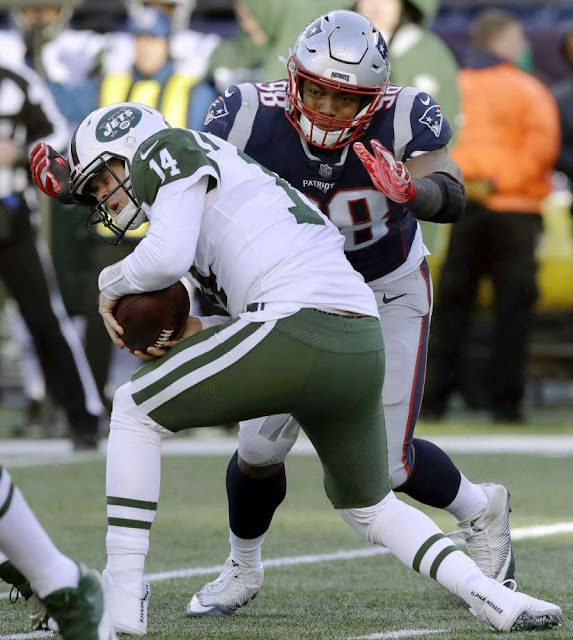 In New England's 38-3 win over the Jets in the regular season finale, Flowers was able to total six tackles and a sack. That sack brought the 25-year old to 7.5 on the season, a new career high. He also finished the regular season with 57 tackles and three forced fumbles. While he may not focus on the numbers, they certainly will help him as he looks for a lucrative deal on the open market. After wrapping up his rookie deal this year, Spotrac projects Flowers to earn a contract in the range of five years that pays him over $15 million annually. If that is the case, it does seem unlikely the Patriots will open up their wallets that much for him, but that's a conversation for another time. Now, Flowers will simply look to help New England during their playoff march which will begin following their first round bye. The Patriots defense is also coming into the postseason pretty hot after allowing just 15 points in their final two games. While the Patriots will certainly enjoy Flowers' presence on the field for this stretch run, it does look like this may be something of a swan-song for him in a New England uniform. The Patriots will begin their playoff run on Sunday, January 13 at 1:05 p.m. when they host their AFC Divisional Round game against either the Texans, Ravens or Chargers. With their win over the Washington Redskins on Saturday, the Tennessee Titans clinched a winning season for the third straight season. A matchup against the Indianapolis Colts looms in week 17. If the Titans are able to (finally) beat Andrew Luck, they’ll reach ten wins for the first time since their 13 win season in 2008. But even if the Titans don’t reach ten wins, the decision to fire Mike Mularkey and hire Mike Vrabel has already been justified. 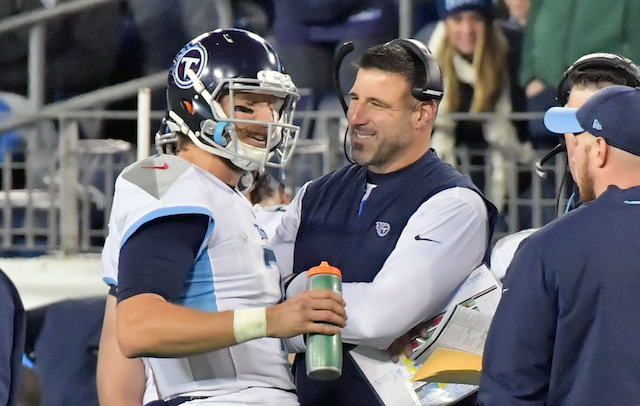 What Vrabel has been able to do with the 2018 Titans is remarkable. This has been an extremely strange season for the Titans. In fact, they should probably be a six or seven win team. Not because they lack the talent to be good, but because of all the weirdness this season has brought. Think about it for a moment. The season started in a bizarre way, with Tennessee losing a seven hour marathon to the Miami Dolphins. Not only did the Titans lose the season opener, but they also lost one of their most important players — tight end Delanie Walker — to a season ending leg injury. Oh, and Marcus Mariota suffered an elbow/nerve injury. But despite the weird start, the Titans won their next three games (including a game against the division rival Houston Texans, which Blaine Gabbert started for Tennessee). 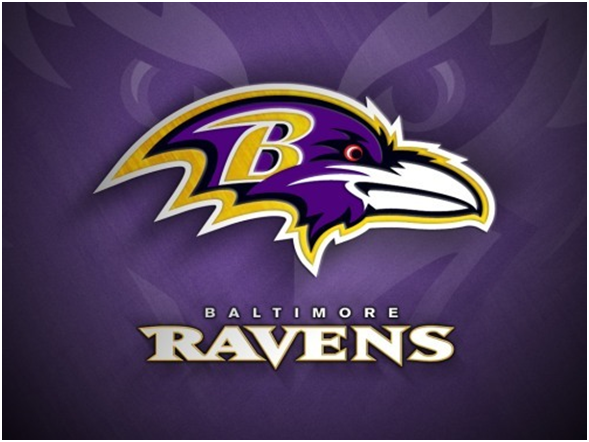 After the early three game winning streak, however, the Titans hit a wall and lost three straight games, including a brutal 21-0 loss to the Baltimore Ravens. The third straight loss was to the Los Angeles Chargers in London. The Titans had a chance to tie the game and send the matchup to overtime, but Vrabel opted to go for two and the win. The conversion attempt failed and the Titans flew back to Nashville with a 3-4 record. At that point, it felt like the Titans’ season was on the way down the drain. Losing a game via a failed two point conversion, after the offense had put up only 12 points the previous two weeks combined, would be enough to break the spirit of most teams. Vrabel, however, was able to hold the locker room together. The Titans then inexplicably won consecutive games against the Dallas Cowboys and the New England Patriots. Rebounding to win back-to-back games against division leaders is something that probably wouldn’t have happened under Mularkey. It would’ve been incredibly easy for the Titans to fold in 2018 and chalk it up to the coaching transition. But they, unlike many fans and analysts, weren’t looking past this season to 2019. They kept their focus on the 2018 season and continued fighting. Players that were much maligned during the early portion of the season — guys like Derrick Henry and Malcolm Butler — never gave up. Henry hadn’t rushed for more than 60 yards in a game this season before his offensive outbursts against the Jaguars and the Giants (238 rushing yards and 170 rushing yards, respectively). In the case of Butler, he was so heavily criticized all season that his game clinching interception on Saturday night against Washington, which he turned into a touchdown, felt like his personal atonement for all of his perceived mistakes in 2018. I’m not sure those moments happen without Vrabel as the head coach. 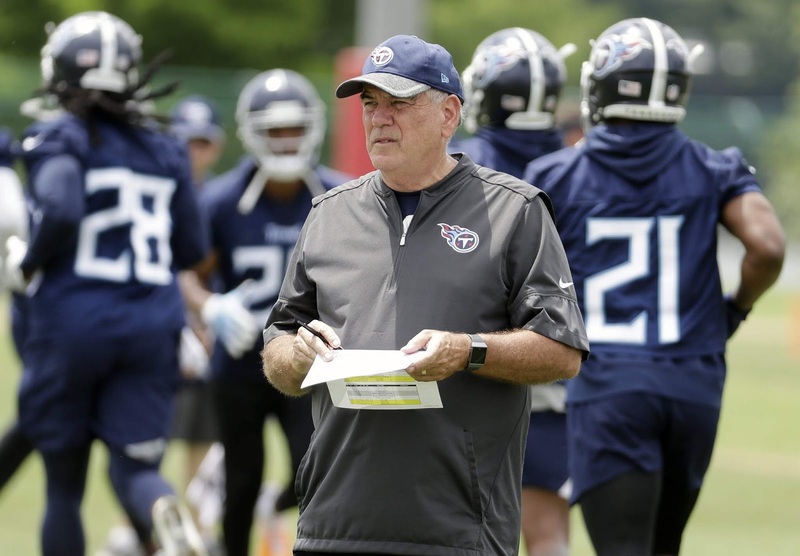 His continued belief in his players kept the Titans in the right headspace. Moving forward, the Titans look like a team on the rise in the AFC South. Are there questions surrounding the team? Of course. Marcus Mariota has to prove he can stay healthy. And Henry has to prove he can consistently be the running back we’ve seen the last few weeks. But the foundation of a playoff team is in place in Nashville. And if the weirdness settles down next season, the Titans will be a threat to win 11 or 12 games. Vrabel was clearly the right choice. And after his first season at the helm, I don’t see how anyone can disagree. Building through the draft is always the preference, but free agency is where NFL teams go for instant gratification, seeking out proven veterans who have shown themselves at the pro level already. Esteemed colleague Kevin Seifert and the collective ESPN NFL Nation compiled a list in early October with a forecast of the top 25 free agents of 2019. I made a couple of changes for my list, and here's the fun part: I get to take a stab at projecting where these players might make sense for 2019 and beyond. A couple of caveats: Some of the top players are destined for a franchise tag. That doesn't whittle the list down entirely, but a $100 million player on the open market is unlikely to play anywhere else than where he currently calls home because of his franchise tag. Additionally, while I will be mindful of potential cap constraints a team would have in signing a player, there's a lot of housekeeping to be done ahead. Teams that are currently cap-strapped can open up resources through other roster movement. Flowers has emerged as arguably the Patriots' best defensive player, and while his production doesn't indicate a story of dominance, he's brought exactly that for them. He's versatile, powerful, a key cog in defending the running game and the team's best pass-rusher. A homegrown product who doesn't turn 26 until training camp, Flowers is a natural retention candidate for the Patriots. While the New England Patriots were able to keep their week 15 game against the Pittsburgh Steelers close for four quarters, they ultimately did not make enough plays to come away victoriously. In the end, the visitors fell 17-10 and suffered its fifth defeat of the year. Let’s dig a little deeper into the game and analyze some advanced statistics from the game. Despite Pittsburgh respecting the impact Trey Flowers can have on a game, the Patriots’ best front-seven defender still registered a pair of quarterback hits. All in all, he produced one of the team’s better pass rushing performances on Sunday — being part of a unit that was inconsistent on the day: New England pressured Steelers quarterback Ben Roethlisberger on just 13 of his 36 drop-backs. While it is not necessarily a bad number, it also was enough to have a profound impact on the opponent’s offensive rhythm. The Steelers had tremendous success on the ground and the chart above reveals one reason for that: Pittsburgh generally did not want to challenge one of the NFL’s best run defenders, Trey Flowers. Flowers started the game on the defensive right side but was moved over to the left once the Steelers found success there. However, when he switched sides, Pittsburgh exploited the opposite side again. Wherever Flowers was, the Steelers tried to run away from — and in turn attacked the defensive tackles and the non-Flowers defensive edge. As noted above, the Patriots’ pass rushers were not necessarily bad when it came to pressuring Ben Roethlisberger but they also did not have too big of an impact on the Steelers’ overall offensive momentum. The average distance between the pass rushers and the quarterback illustrates this well: New England was oftentimes relatively far away from Roethlisberger. The Steelers’ pass rush, on the other hand, came closer to Tom Brady. And even though none of the numbers stands out, it was still enough to mess with the Patriots’ offensive rhythm at times. The NFL's top-ranked defense placed two players in the Pro Bowl. In comparison, six players reached the Pro Bowl in 2006, the only other time the franchise had the league's best defense. Yanda ties Terrell Suggs for the fourth-most Pro Bowl selections in franchise history and ranks behind only Hall of Fame tackle Jonathan Ogden for most Pro Bowl appearances by a Ravens offensive lineman. 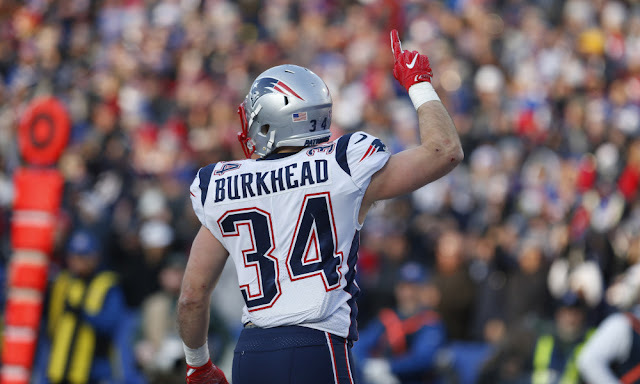 Rex Burkhead, punt-coverage, New England. As a Ryan Allen punt bounded toward the end zone, Jones leaped over the line (without his feet ever touching the goal line) and kept the bouncing punt alive by flipping it in the air while diving; Burkhead then dove over the line himself, never having touched the line, and, with the ball two yards deep, Burkhead flipped it to trailing coverage player Ramon Humber, who downed it at the Pittsburgh 1-yard line. Can’t play a punt better near the goal line. Aside from the struggles the Los Angeles Rams’ offensive line has had in the past few weeks, the unit has been phenomenal this season. Guys like Andrew Whitworth, Austin Blythe and Rob Havenstein have provided outstanding protection for Jared Goff, while also opening up huge running lanes for Todd Gurley. The offensive line is part of the reason the Rams’ offense has been so explosive this year, ranking third in points and yardage. 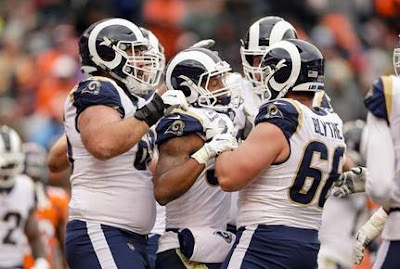 Pro Football Focus has recognized the Rams’ line throughout the season, most recently ranking three players among the 25 best linemen in the NFL for 2018. Havenstein was the top-ranked Ram on the list, checking in at No. 10 with an overall grade of 81.1. Havenstein isn’t going to overpower a lot of people, but he’s as consistent and technically sound as any tackle in the league. 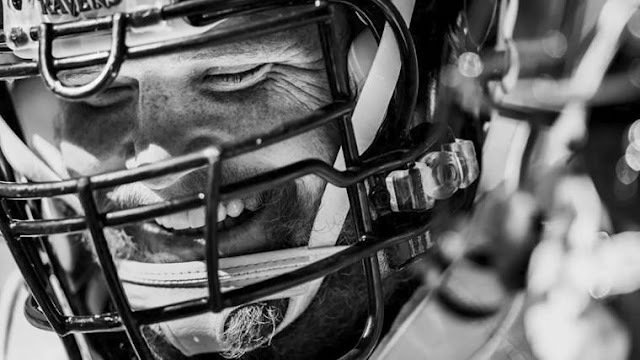 The former second-rounder has only allowed three combined sacks and hits all season. Just behind him at No. 11 is Whitworth, who has an overall grade of 81.1. He continues to be one of the best left tackles in the NFL, despite being 37 years old. Closing in on his 37th birthday, Whitworth is doing things that offensive tackles aren’t supposed to do. As fellow 36-year old left tackle Jason Peters has seen his body break down and play slip in recent years, Whitworth continues to churn out dominance. He hasn’t had a single game with a below average pass-blocking grade all season. A bit further down the list is Blythe, who’s in his first season as a starter for the Rams. He took over for Jamon Brown after he was suspended for the first two games of the season. Needless to say, Blythe has been a pleasant surprise and a true standout for the Rams this year. He has an overall grade of 74.2, fifth-best among all guards in the NFL. Anyone could have had one of the top-25 offensive linemen in the NFL after he was waived by the Colts a year and a half ago. The former seventh-round pick wasn’t even supposed to start for the Rams until Jamon Brown got suspended. Blythe never relinquished control of the job and has been reliable ever since. John Sullivan has struggled a bit this season after a tremendous 2017 campaign with the Rams, but if he’s the weakest link on the offensive line, L.A. is in good shape. Rodger Saffold just missed out on PFF’s list, but even he’s the 10th-ranked guard by the site’s measures. Twenty-four volunteers spent their day teaching young students about financial literacy. Lingerfeldt Elementary School in Gastonia hosted its third annual Junior Achievement Day on last week. Kids from kindergarten through fifth grade learned everything from how to save money to how debit and credit cards work, and how interest is compounded. Lessons were tailored to the unique grade levels, and instruction was led by volunteers largely from Tabernacle Baptist Church and the Gaston County Department of Health and Human Services. Karen Creech is a congregation member of the church, who also works for the health department’s day care center for adults. She’s been an instructor at the school’s Junior Achievement Day program for the past three years. Her husband, Corey Creech, a Wells Fargo employee, also volunteered as an instructor. 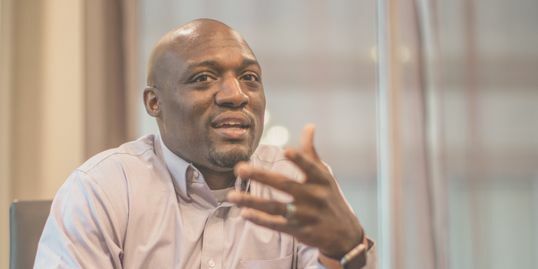 He said teaching children about finances at a young age gives them an advantage to face the challenges ahead. The program is organized by Junior Achievement, a nonprofit organization that provides programming to inspire and prepare young people to succeed in today’s global economy by focusing its programs on the three key pillars of entrepreneurship, work readiness and financial literacy. Local community leaders, such as Gastonia Mayor Walker Reid and the Rev. Benjamin Hinton of Tabernacle Baptist Church, also stopped by classrooms to share their experiences and financial advice with students. Reid said his parents taught him at an early age that “you have to work for what you want in life.” It’s a lesson he also imparted on the impressionable students. Retired professional football player Nate Salley also lent his advice to students. Salley, who played for the Ohio State Buckeyes in college and then the Carolina Panthers until 2009, spoke about living a fiscally responsible life no matter one’s profession. A third-grade student told Salley “I want to grow up to be like you” during the program. A Junior Achievement Day was also held last spring at Sadler Elementary School in Gastonia. Junior Achievement will provide training for new volunteers as well as all program materials. To get involved with future programs, visit www.juniorachievement.org. Right guard Marshal Yanda is the Ravens’ 2018 recipient of the Ed Block Courage Award. It is presented to the player who exemplifies a commitment to the principles of sportsmanship and courage, while also recognizing a player’s efforts on the field and his ability to overcome adversity. The award was selected by a vote of Yanda’s teammates and was presented to him following Friday’s practice. He has returned to being one of the NFL’s best offensive linemen after playing just two games in 2017 due to a season-ending ankle injury. A shoulder injury also required Yanda to have surgery last winter and he did not play at all during the preseason. A six-time Pro Bowler, Yanda is one of the locker room’s most respected players, who has spent his entire 12-year career with the Ravens. The award is named for Ed Block, the longtime head athletic trainer of the Baltimore Colts who was a respected humanitarian. In 1989, the Ed Block Courage Award Foundation formulated the Courage House National Support System for Kids. Every team votes for one player to win the award. Quarterback Carson Wentz of the Philadelphia Eagles, wide receiver Odell Beckham Jr. of the New York Giants and defensive end Julius Peppers of the Carolina Panthers are among other recipients of the award this season. A year ago, Yanda was rehabbing his ankle. Now he is playing meaningful games in December and calls this season one of his most enjoyable at age 34. 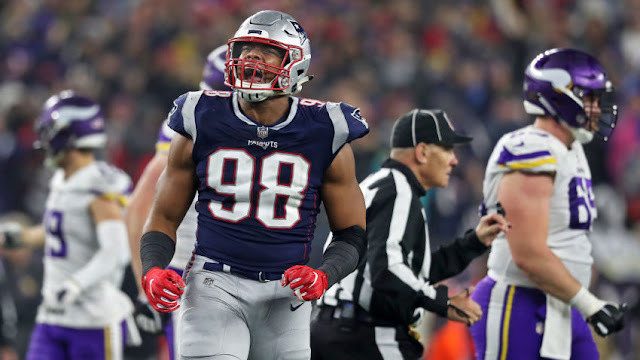 Trey Flowers will be a free agent at the end of the season and the New England Patriots No.1 priority in the offseason should be re-signing the defensive end. The New England Patriots aren’t known for being big spenders, but this guy is worth it. 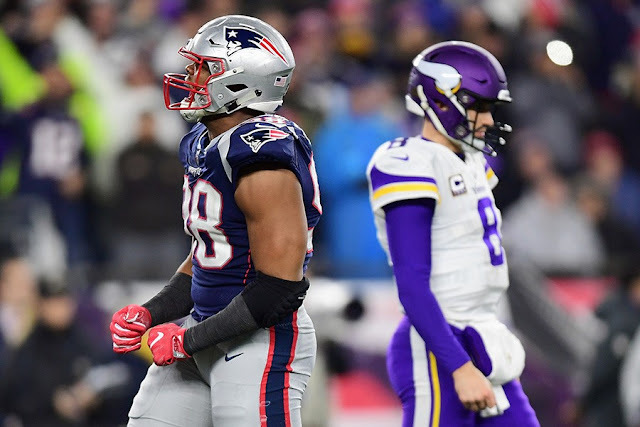 Trey Flowers has been a staple of the Patriots defense and deserves a new contract. Flowers will be a free agent at the end of the season. Which is some bad news for Patriots fans. Flowers definitely will have the opportunity to make some major cash. The entire NFL realizes how talented Flowers is. Out of all the Patriots free agents, Flowers may be the most important. If New England doesn’t sign him their defense could be in big trouble. Opposing teams would dominate the Patriots defense. The Patriots drafted Flowers in the 4th round in 2015. The defensive end has quickly become a great player known for his ability to get to the quarterback. Flowers always seems to be causing pressure and making life difficult for quarterbacks. This helps New England’s defense out a lot. Also when the Patriots defense is performing well, New England’s offense is usually getting more playing time. So even though it seems that the New England Patriots are the cheapest team in all of professional sports they will need to break out the checkbook. 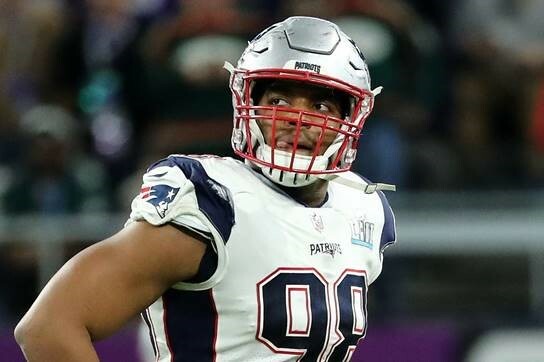 So here are 5 reasons that the New England Patriots need to re-sign Trey Flowers in the offseason. The Patriots aren’t exactly known for having great pass rushers. They have had solid guys like Rob Ninkovich, but they haven’t had someone as dominant as Trey Flowers in a long time. The most recent guy I can think of is Chandler Jones (now I’m imagining having Flowers and Jones on the same team which would be amazing). It seems like Trey Flowers is in the backfield every play. Flowers could have Vince Wilfork in front of him and he would still find a way to make it into the backfield. Flowers has proved throughout his time in New England that he is the Patriots best pass rusher. He has led the Patriots in sacks for the last 3 seasons. The Patriots pass rush starts with Trey Flowers. If he was to leave the team I think New England would struggle mightily to get to the quarterback which isn’t ideal when you have a 41-year-old quarterback. The Patriots defense has been great this season and if New England wants to be successful in the future they need to have a strong defense. It’s a slight miracle that the New England Patriots offense is still able to score like they do. Tom Brady is defeating father time and looking like he is immortal. Sadly that isn’t the case. The day that Brady will retire is inching closer and closer. The Patriots need to start planning for life without the quarterback. Also Rob Gronkowski is looking like he may need to go to a retirement home soon. The tight end isn’t what he used to be. I wouldn’t be surprised if Gronk walks away from the game in a year or two. This all means that the Patriots offense will be undergoing a major makeover. So this means the defense has to step up and keep New England in games. By re-signing Trey Flowers you ensure that at the minimum the Patriots will have a dominant front seven that will cause chaos in the backfield. 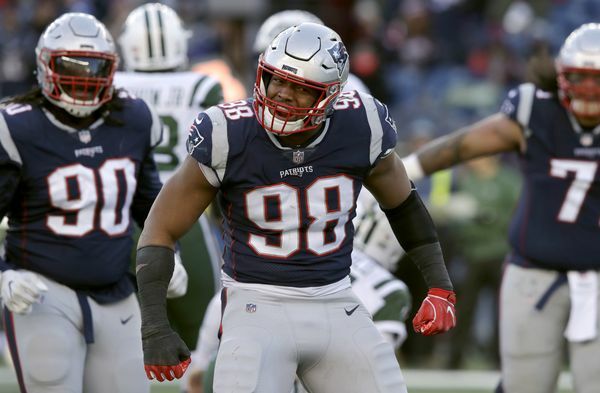 I think that this season is Trey Flowers best as a pro. Now the numbers don’t show this. If we were going strictly by the stats, 2016 would be his best season. Flowers had 7 sacks and looked like an absolute beast. This season stands out to me because Flowers just makes everything look easy. He isn’t struggling to get into the pocket. He is doing everything with ease. Flowers looks comfortable out there. Flowers has 5 games left to gain 2 more sacks which would put him at last years total. I wouldn’t be surprised to see him reach that goal. The defensive end is also racking up the tackles. He already has 40 and might be able to reach a new career high if he keeps playing well. So even though the numbers may not show it, Trey Flowers is having the best season of his career with his ability to dominate opponents. One of the great things about Trey Flowers is you know what you are going to get from him. The Patriots know they can count on Flowers to maneuver his way into the backfield and blow plays up before they even start. When you look at Flowers stats you don’t see a lot of variation. The defensive end will have a couple of tackles a game and will have a few QB hits and then a sack or two. Flowers has never been completely shut out of a game. When he struggles to get to the quarterback he stops the running game. When he is struggling to stop the run, he is able to get the quarterback. When he can’t do both he is able to break up passes with his athleticism. The guy can do it all. The Patriots can always rely on Flowers to be there for them. If the Patriots re-sign Flowers it isn’t like they are going to have a terrible player by the end of the deal. Flowers is just entering the prime of his career. The defensive end is only 25 years old. That means if New England signs him to a 5-year deal he would still be a great player. The move just makes so much sense. The Patriots would be getting a great pass rusher for the best years of his career. What more could you ask for? Flowers deserves a raise and I think he will get it for the Patriots. If they make the mistake of not signing the defensive end it will haunt them for years to come. The Patriots need to have a solid defense and if they lose Trey Flowers they will be in big trouble. The defensive end plays a crucial role in the team’s success moving forward. So what the hell was that in Tennessee, anyway? Two games out of the bye, the Patriots' Week 10 dud against the Titans is looking more like an outlier - for the defense, anyway. Sunday was about this unit coming up huge at all levels against the Vikings and their myriad offensive weapons. 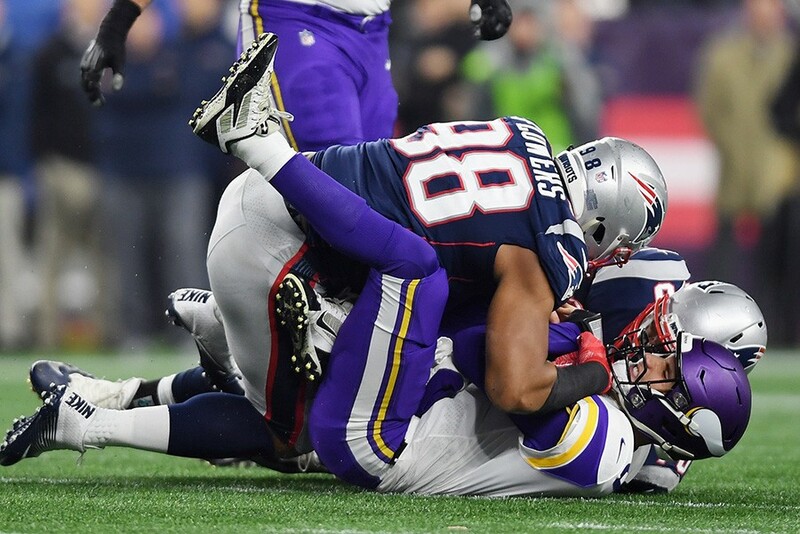 At multiple points in the game, the Patriots' inconsistency and mistakes on offense forced the defense to keep the Vikings from taking control of the game. To start the fourth quarter, the Vikes faced a third-and-5 coming out of a timeout, and an opportunity to drive down the field and tie it up at 17. The first play of the fourth quarter was a long-awaited explosion by Flowers, who bounced around blockers on a stunt and burst through to Cousins. The quarterback toppled to the turf just as Flowers was getting to him. He had no chance. It was the kind of tone-setter and game-changer the Patriots defense needed at that point in the game, which was not as competitive as the 17-10 score indicated. The Vikings offense had not gotten much going all afternoon besides one explosive touchdown drive just before halftime, yet still had a chance to make it all even in the fourth. Flowers wasn't going to let that happen. Flowers was merely one of the anchors of an excellent overall day for the defense up and down the roster. He feels that they're coming together as a unit just at the right time, as the Patriots look to elevate themselves like they usually do in December. "I think a lot of the guys understand the urgency, just being able to amp up preparation and understand that now it's time for real football," said Flowers. "A lot of guys understand the urgency, coming together and working hard." The Patriots looked like a well-prepared defense on Sunday, reacting well to what the Vikings offense was showing them and mixing up their own looks. It served to confuse Cousins, who ended up 32-of-44 for just 204 yards, one touchdown, and two interceptions - a 70.5 passer rating. Cousins also held on to the ball too long at times, and credit for that is due to the play of the Patriots secondary. Besides his second-quarter touchdown (and an ill-advised confrontation with Bill Belichick), likely All-Pro receiver Adam Thielen was virtually a non-factor. He finished with five catches for 28 yards and the score, despite 10 targets. The Vikings' other big receiving threat, Stefon Diggs, played hurt and grabbed five largely inconsequential catches for 49 yards. Rookie cornerback J.C. Jackson performed admirably in an unusually prominent role, his biggest play coming on Duron Harmon's late interception that he tipped into the air in the end zone. Cornerback Stephon Gilmore sounded like he'd heard all the hullabaloo about the Vikings and their stable of #weapons. "We were motivated, we knew it wasn't going to be easy," said Gilmore. "We had a good week of practice and we were prepared and we came out and showed it today." Since allowing 40 points to the Chiefs, the Patriots defense has averaged 18.5 points allowed in their last six games, and that includes the debacle in Nashville. The Patriots have held their opponents to 17 points or less in four of their last five. They haven't allowed a 300-yard passer since Patrick Mahomes in Week 6, or a 100-yard rusher since the Lions' Kerryon Johnson in Week 3. The Patriots also dominated on third down against the Vikings, which hasn't been an area of consistency for them. Minnesota went just 3-for-12 on the afternoon in those situations. Flowers and the front-seven swarmed the line of scrimmage and short areas of the field, frequently switching things up and making Cousins look un-veteran-like in the process. Even when the Vikings were able to come up with chunk plays, particularly on their stunning 74-yard touchdown drive that took just 1:37 at the end of the second quarter, the defense didn't waver like it felt they could after a disappointing end to the first half. "Next-play mentality," Flowers described it. "We're playing in the NFL. So you've got to tip your hat to guys, and understand that they’re going to make some plays. You've just got to come back and be ready to make another play." Flowers was most certainly ready for that. On top of his sack to start the fourth quarter, Flowers nearly came up with a huge stop on fourth-and-1. He and Lawrence Guy stood up Latavius Murray at the line to gain, but the officials ruled it a first down on the field. They didn't have enough evidence to overturn the call on Bill Belichick's challenge. But it didn't make the play by Flowers any less impressive. Had the officials simply ruled in their favor on the field, it would've been yet another big-time play for perhaps the big-time player on the Patriots defense. In a superb afternoon for this group, Flowers continued to show why he's going to get paid this offseason, whether it's in New England or elsewhere. He just wanted to get back to the line and make plays, and he definitely accomplished that. And like we're used to seeing by now, he did it at a big-time moment in the game. FOXBOROUGH — When the New England Patriots have lost, they've lost ugly. The team's three losses this season have featured breakdowns in all aspects of the game, but among the many issues, stopping the run was one of the big constants. New England allowed an average of 137.6 rushing yards in its losses, including 159 in Week 3 against the Detroit Lions and 150 against the Tennessee Titans in Week 11. The Patriots can't win if they're constantly getting gashed on the ground, so coming out of the bye, the defense needed to show it could get stops more consistently. While it wasn't flashy, the Patriots run defense clearly took a big step forward on Sunday. 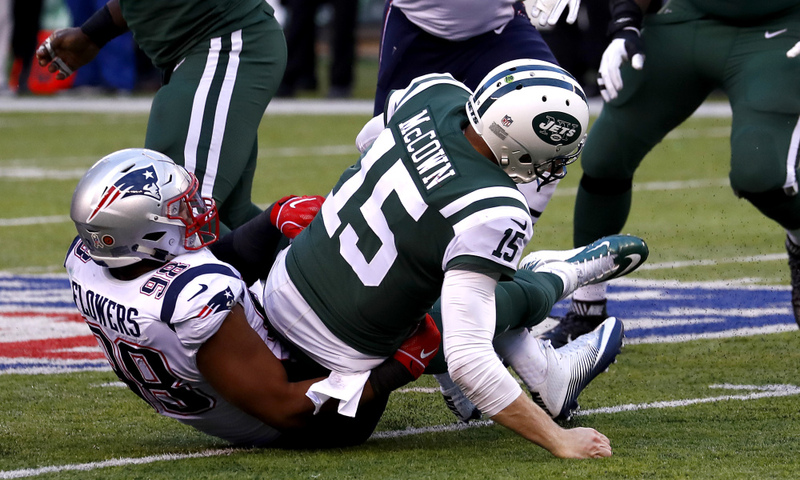 The Patriots held the New York Jets to only 74 rushing yards, with about a third of those yards coming on Josh McCown scrambles rather than designed runs. There weren't any single outstanding performances powering the effort, the team just played solid, fundamental football and forced McCown to beat them with his arm — something he obviously couldn't do. New England set the tone on the first drive of the game. After receiving the game's opening kickoff, the Jets handed the ball off to Isaiah Crowell, who ran up the right side and was immediately met by Lawrence Guy for no gain. The next play, Crowell tried carrying it up the middle, and this time it was Patrick Chung waiting to stuff him for a gain of three. The Jets eventually punted, and on the team's next drive, New York initially struggled on the ground again. Elijah McGuire lost two yards on an outside run to the right after Kyle Van Noy swept across and kept him contained, and McCown scrambled for three on a broken screen play. McGuire eventually picked up eight after a back-breaking holding penalty — eventually leading to New York's first touchdown — but from that point on, the Jets only rushed the ball one other time for the rest of the first half. Throughout the game, the Patriots were only beaten decisively on one designed rushing play, a 3rd and 1 rush where Jason McCourty got pancaked while trying to contain Crowell, giving the runner a clear lane to the outside for 12 yards and a first down. Other than that, New England had a clear edge to the point where the Jets essentially abandoned the run even though the Patriots didn't start to pull ahead until mid-way through the fourth quarter. Overall, the Jets only ran the ball 15 times, well down from their average of 24.9 carries per game. Once the Jets became one dimensional, the Patriots defense started to shine in other areas. The pass rush enjoyed its best game in weeks, getting 23 total quarterback pressures on 51 passing snaps (45.1 percent). Trey Flowers in particular was a monster, terrorizing the Jets line while pressuring McCown eight times all by himself. The secondary did a good job taking away McCown's first looks, which combined with the pressure led to two sacks and a litany of rushed throws. And during a crucial sequence late in the third quarter, Van Noy got a free rush at McCown twice in a row to bring up fourth down at the end of a long Jets drive. New York had to settle for the game-tying field goal, and the Patriots went on to score 14 unanswered points the rest of the way. The Jets' offense isn't anything special, but this was a good performance for the Patriots defense. The blueprint for success all along has been to contain the run, pressure the quarterback and avoid big mistakes. If the defense can replicate its performance against future opponents — starting with the Minnesota Vikings this weekend — the Patriots will be in it against any opponent it plays the rest of the way.